Here’s a list of the best gay tours in the next six months. Best is of course subjective but we at ManAboutWorld know the business and we know the tour operators so this is what we call a highly informed opinion! In any event, the destinations are cool, the conveyances are cool and you’ll be surrounded by other gay guys. What’s not to love? Check ’em out. Discover Ottoman splendors, Byzantine and Eastern Orthodox Monasteries, ancient sites and dramatic landscapes from Sofia to Belgrade with the experts of gay tour company Coda. Bordered by the Adriatic, Mediterranean and the rugged Dinaric Mountains, this land, Europe’s oldest continuously inhabited territory, boasts diverse cultures that have left their legacy across the Balkan Peninsula. 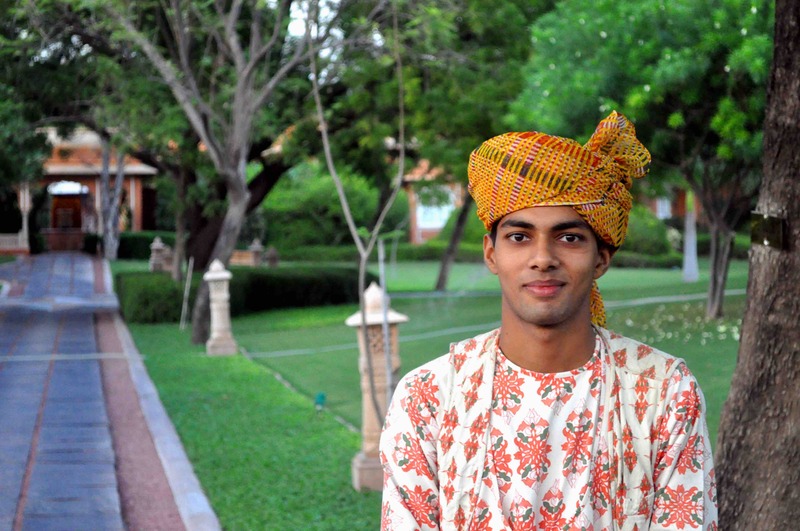 India can be overwhelming especially to first-time visitors. This country of over 1.2 billion inhabitants stuns you with its beauty, diversity, warmth and the chaos and contrasts you’ll find in cities and villages alike. On our first visit we found it helpful to go in a group. Zoom Vacations combines luxury accommodations and seamless organization to provide guests with an orderly and memorable introduction to one of the world’s most fascinating and intoxicating countries, with its kaleidoscope of languages, cultures, and traditions. A trip highlight is a stay in a 5-star hotel with direct views of the Taj Mahal, which visitors have been trekking to since the 17th century and which still holds a mysterious allure. Step aboard the 105-stateroom M.S. Saint Laurent charted by Brand g Vacation along with 200 fellow LGBT travelers. You’ll pass through the marvelous Panama Canal, glittering Panama City, and visit islands, beaches and jungles, including the gorgeous Manuel Antonio National Park. Departs Cartagena, Colombia and ends in Costa Rica. Spot towering active volcanoes. Visit the Water Palace of Amlapura. Snorkel the most pristine and diverse coral reefs in Kondo. Witness thousands of flying foxes in Satonda and see the famous Komodo dragons in person. Explore some of Indonesia’s most beautiful deserted beaches with our friends, the competent fun folks at Out Adventures. ManAboutWorld: Check out our unique digital gay travel magazine for way more than these events … for savvy gay travelers by downloading the ManAboutWorldApp on the iTunes App Store or Google Play. We support iPads, Android tablets, iPhones and Android phones. There are a few free publications in all of the apps, and you can click here to register for a FREE three-month subscription. Go on, hop on a tour. 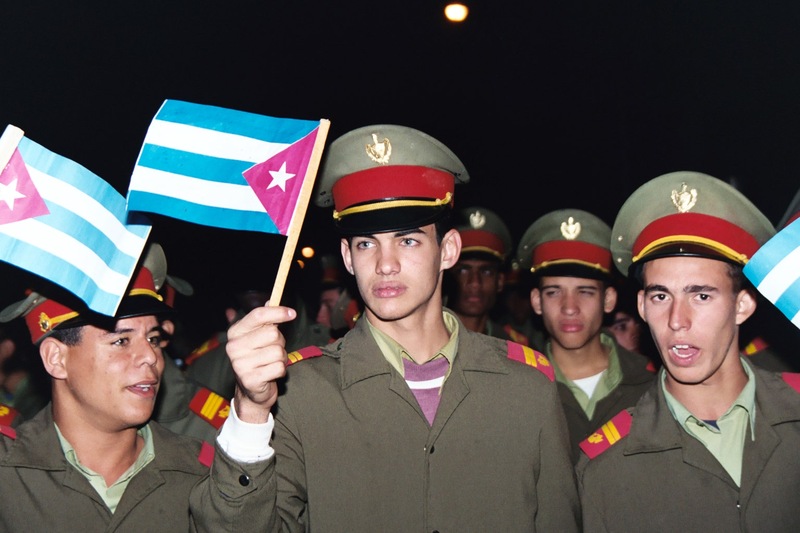 This is during the Marcha de las Entorchas, at the University of Havana, commemorating a revolutionary event. Soldiers, workers, many participants. 1. Why did you choose to go to Cuba? Why would someone not want to go to Cuba? I went in January of 2003. As someone who writes on LGBT issues in unusual countries, I also felt at the time, it would be a challenging place to visit. I wanted to see it before more changes might have been in store. I went legally as a journalist, via Miami. Here is the Gay City News piece I wrote, in 2003. 2. Can Americans go to Cuba now? There are still restrictions, but it seems more and more people will be allowed to go. Technically pure tourism won’t be allowed, but there will be many opportunities.